This is a successful judicial review of the grant of planning permission to a proposed new golf club in leafy Surrey – where one central issue was whether, in planning policy terms, there was a “need” for the club. The local planning officers had advised the council against the proposal, but the members voted in favour of it (just), hence this challenge. It succeeded on grounds including perversity, which is pretty rare, especially in the planning context, but, when one looks at the judgment, you can readily see why the judge concluded as he did. The judgment contains some pungently expressed reminders that the planning system is not just about facilitating “business” but requires a proper assessment of the public interest. And dressing up the provision of very very expensive golf to a few very very rich people as “need” does not wash. 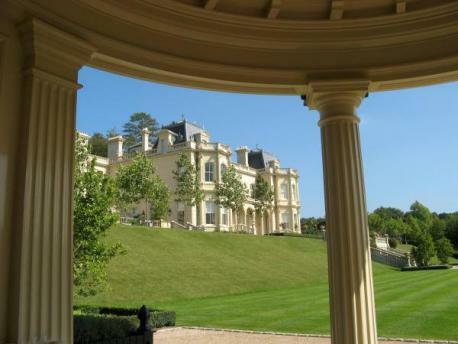 The Cherkley Estate consists of Cherkley Court (former home of Lord Beaverbrook), and Garden House, together with substantial outbuildings and cottages, which are set in parkland, woodland and farmland – some 375 acres in all. In landscape terms, they are about as protected as you can get, as the judge observed. The whole estate is within the Surrey Hills Area of Great Landscape Value, some within the Surrey Hills Area of Outstanding Natural Beauty. It is adjacent to the Box Hill Estate, a National Trust property, and the Mole Gap to Reigate Escarpment, a Special Area of Conservation. It includes a large field of uncultivated chalk grassland known as the ’40-Acre Field’, which is a UK Priority Biodiversity Action Plan Habitat and has the designation criteria of a Site of Nature Conservation Importance. 40-Acre Field (on which it is proposed to put 5 golf holes – so it won’t be uncultivated grassland any more) abuts an adjacent EU classified Special Area of Conservation and Site of Special Scientific Interest. The whole estate is within the Metropolitan Green Belt. (2) “no justification” had been provided as to “why the proposed golf course needs to be located in protected landscape”. (3) Third, the proposal involved new buildings in the Green Belt, including a partly underground indoor swimming pool, an underground spa and a partly underground maintenance facility. There were no “very special circumstances” advanced which clearly outweighed the harm. One of those reasons asserted (as it had to) that there was a “need” for this golf course. The developers argued that proof of private “demand” for exclusive golf facilities equated to “need”. This proposition is fallacious. The golden thread of public interest is woven through the lexicon of planning law, including into the word “need”. Pure private “demand” is antithetical to public “need”, particularly very exclusive private demand. Once this is understood, the case answers itself. The more exclusive the development, the less public need is demonstrated. It is a zero sum game. Need” does not simply mean “demand” or “desire” by private interests. Nor is mere proof of “viability” of such demand enough. The fact that Longshot could sell membership debentures to 400 millionaires in UK and abroad who might want to play golf at their own exclusive, ‘world class’, luxury golf club in Surrey does not equate to a “need” for such facilities in its proper public interest sense. The word “need” in Old English was ‘nẽd’ or ‘nẽod’ (noun) or ‘nẽodiun’ (verb) and is of Germanic origin. Children sometimes use the word “need” infelicitously and say ‘I need…’ when they really mean ‘I want…’. .
Just so. Rich people, and developers who make money out of them, may want posher courses with less people on them, but that, by any stretch of the imagination, is not a need – unless one has a particularly unbridled view of the virtues of the capitalist endeavour. The developers wish to appeal – unsurprisingly given the asking price when they bought the estate – £20m. They profess being “appalled” at the decision, and their solicitors say that they “feel entirely let down by the judicial system”: see a local press report. And how can this be “exclusive” if 399 other millionairs are on the same golf course?